In stock 435 pcs. Also available in our walk-in store. 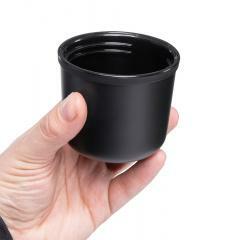 This special Thermos model is available only from Varusteleka! Extremely reliable threaded cap and matte black finish. The threaded cap is a thing of beauty: easier to clean and virtually indestructible compared to its mechanical "snap button" counterpart. 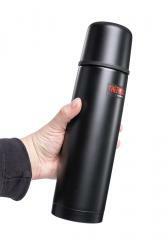 We offer a very basic selection of Thermos insulated bottles, one large-mouthed for soups and other food and this one for drinks. 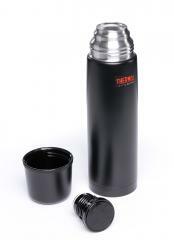 Normally this type of thermos bottles are supplied with a mechanical cap, one which is very fast to use yes but prone to malfunctions and breaking. This model with the super-reliable threaded cap and matte black finish was made especially to last long. 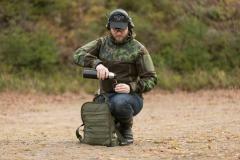 This is in our opinion The Thermos Bottle as it should be! Easy maintenance: without moving parts there are no difficult internal details to clean. Wash by hand like regular dishes, not in a machine. Wash before first use. Difficult stains can be killed by filling the thermos with hot water, adding a teaspoon of baking soda, closing the cap and leaving to sit overnight. 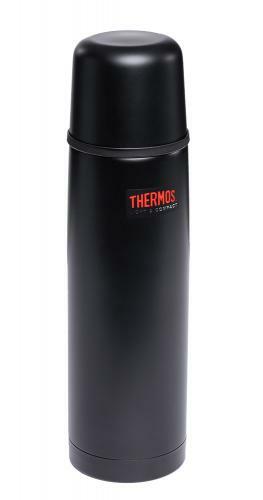 Thermos is an old and trusted name in the business, and they keep the reputation up by producing reliable and high-quality items. Made in China, but to high standards.